In the Netherlands, there are already a couple of 10K cachers. Also for these mega cachers, we have now a Geo-achievement set. It's a new design, 24kt gold plated. A really beautiful result. Now on stock. This set contains a 10000 Finds Geo-Achievementcoin of 44mm and a matching Pin of 25mm. Option: For this coin it is possible to have text engraved. This is the second version of the Black Rose Geocoin series. It features translucent colors and a cut-out pattern. The phrase on the back says "Take nothing but pictures. Leave nothing but footprints. Kill nothing but time". We're please to show off a wonderful 3D rendition on the front, and some super detailed work on the back. It's a 3D skull surrounded with some all metal detail on the front. On the back, the old reaper floats his way across the sky. The Ancient Egyptian /ankh/, symbolizing life, is often referred to as "the key of life". Here, the ankh forms the body of a key, its loop framed by classic lotus blossoms. The key's blade is formed by a /djed/ pillar, a mysterious object that many scholars believe represent a backbone, tying into its meaning of "stability". On the front of the key is the Middle Egyptian hieroglyphic phrase for /imnt/, or "hidden place". This is your key to the cache. This coin comes in a black velvet pouch. The design was inspired by a good luck charm. They say that shooting stars represent good luck and good fortune, and if you ever get blessed with seeing one, whatever you wish upon it will come true. 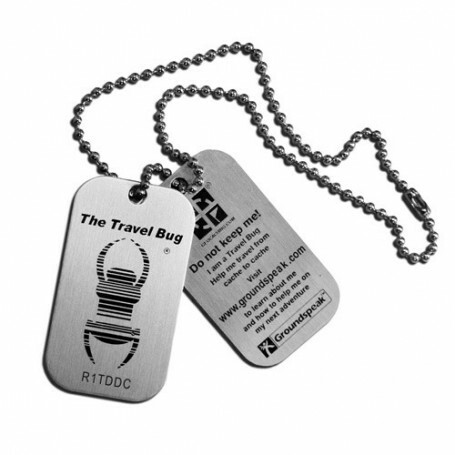 The designer wanted to turn it into a geocoin so that it may bring other cachers luck while they hunt for geocaches. In the weekend of august 28th, there is a Mega event in Cologne: het Geocoinfest. We are already fully preparing for the event. On the event, there will be an overview what we have available. Sometimes, there a single pieces, but in many cases we have more models. We also will have a number of unqiue editions of special coins. We already mentioned the Area 51 GCF edition and the Iridescent dreams Geocoin (in 4 limited editions), but we also will have the Butterfly Geocoin (orange lowlands & majestic green), Troy Geocoin (Falakrós edition) and Lotus Compass (editions Set, Osirus, Aten, Nepthys en Duat). On our website, we have made a special Geocoinfest category. You can find which coins will become available at the Geocoinfest. Geocoinfest editions can be found here.